Lately, the demand for white colored granite has increased. It may be its rare and elegant look, which can brighten up any kitchen or bathroom, just with its amazing color. 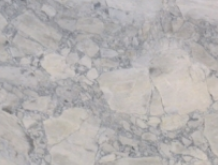 You may be thinking white is white, but there are so many white granite colors to choose from. This rare granite is only found in one quarry in Brazil. It has been described as resembling an “icy Arctic ocean.” Only in the United States is the name Super White Granite used, as the rest of the world calls it by its proper name; Super White Quartzite. This white granite is very rare resulting in an expensive price tag. It comes in shades varying from bright white to a very subtle beige or gray color. Once sealed and polished, Super White Granite is absolutely breathtaking. 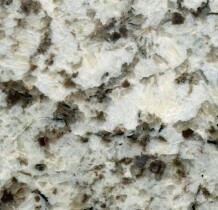 Like the Super White Granite, Bianco Romano comes from a quarry in Brazil. Typically white, with gray or brown veins and bits of red garnet, this is an amazing looking stone, perfect for brightening up an elegant kitchen or bath. Especially hard, Blanco Romano is great for outdoor use as well. Being so light in color, it stays cooler in the summertime. Bianco Romano has many aliases such as; Blanco Romano, Bianca Romano, White Romano, Nova Branco Romano, Tropical White, and Pashmina. Depending on what fabricator you use, this beautiful granite may be called one of these. Quarried in India, Ivory Fantasy granite is a great alternative if you want a light color for your countertops but want it a little more subdued. Coming in an Ivory color with grayish veins, Ivory Fantasy is beautifully polished. This color granite may limit your color scheme a little more than a bright white granite would, but if you fall in love with it, it’ll make your kitchen or bath the talk of the neighborhood. This exotic granite is quarried out of Brazil. It gets its name from the white coloring with beige or brown veins that resemble an Alaskan mountaintop. Variations in color go from bright, pure white to beige. 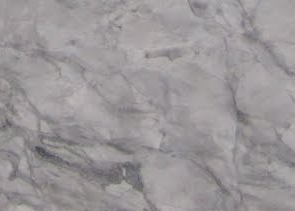 Some slabs also contain light catching pieces of greyish Quartz. This granite is more expensive than most but is unique and well worth the investment. As Ivory Fantasy, White Fantasy Granite is quarried in India. This beautiful, truly white granite, contains gray and almost black veins. This allows for a stark contrast and will flow with many color schemes. When it is beautifully polished, the shine really catches the eye. White Fantasy gives your kitchen a bright, clean appearance. All white granite is rare and expensive, as most imported things are. However, if you are really wanting a marble look without the extra care marble requires or something more durable, white granites can accomplish this for you. It is always best to directly choose your slab or acquire many samples to be sure the colors do not vary, hence coming from the same side of the quarry. Installed and maintained properly, your white granite countertops are a great investment, as they have the ability to outlast you. 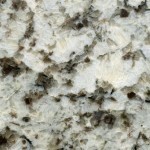 Are you in the market for an elegant granite countertop without a lot of excess color? If so, then super white granite is a fantastic choice. Let’s start with the price, if purchasing multiple slabs you can expect the cost per square foot for super white granite to be in the ballpark of $50 a square foot. 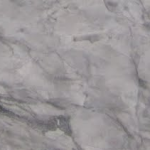 Having a profesional fabricator cut, edge, and install your slab will bring your actual cost to around $75-100 per sq ft.
Actually a quartzite, super white originates from quarries in Brazil and is a light grayish white in color with gray veins running throughout each slab. This particular variety of quartzite looks very similar to some types of marble, but it is a bit more durable and affordable. Many home builders and remodelers opt for super white because of its clean, crisp feel and sleek beauty. Additionally, granite countertops can add significantly to the value of your home if you decide to resell it later on down the line. Because of the basic two-tone coloration of super white, you are somewhat limited when it comes to choosing complementary cabinetry. While some darker wood stains look fine, super white better lends itself to white or off-white cabinets or black stains for a nice, stark contrast. 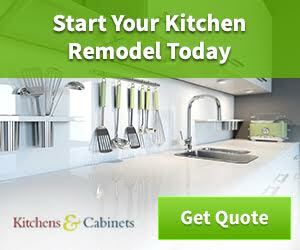 Additionally, you may consider bolder cabinet colors, such as deep reds, blues, or greens, to really highlight the countertop without detracting from its beauty. You will most commonly find super white granite paired with white, black, or deep cherry colored cabinets. If you do decide to go with a white cabinet color, it is best to continue the same color onto the walls for a unified effect. To add color, consider using a colorful back-splash or adding pops of brightness with flowers, towels, and other kitchen accessories. 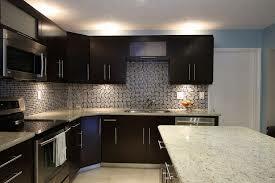 Likewise, super white counters and black cabinets also look best with white walls. You have a little more wiggle room color wise if you use a colored or naturally stained cabinet, but try not to detract from the countertops by creating a palette that is too wild or bright. All-white kitchens don’t have to extend all the way to the floor, and this is a good place to give the whole thing a little contrast. Opt for a deep cherry wood floor for a sleek look, or keep things pale and airy with a gray or white-gray tile. Black and white tiles arrayed in a pattern also work well with a black and white kitchen and work to continue the theme. The lighter woods, however, may feel like an intrusion, because they are neither pale nor dark enough to complete the overall aesthetic. Because they are so lightly colored, any type of stains or damage may easily show on your super white granite countertop. Take care to avoid extremes in either pressure or heat to keep it from cracking or chipping. 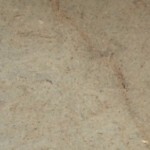 You should also not use harsh abrasives or cleaners that are not suitable for stone on this type of counter. 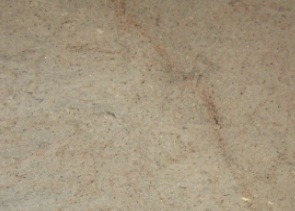 Look for chemical or natural formulations that are specifically suited to stone counters. With a little planning and forethought, you can create a beautiful kitchen in which super white countertops are the focal point of the room. Yes, they are expensive – nearly $80 a square foot on average – but they are well worth it for the elegance they bring to your home.